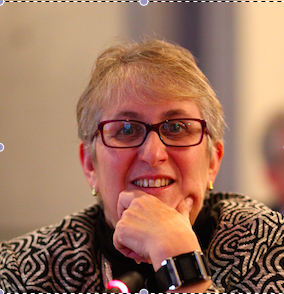 K Krasnow Waterman is a polymath, weaving broad knowledge to rapidly create or transform solutions and data-driven organizations, delivering them on-time and within budget. She has served as a Chief Information Officer, Chief Operations executive, and Chief Technology Officer. She has held leadership roles at JPMorgan, Citigroup, the FBI, and a Ranieri private equity company. She has been a senior advisor and consultant to DHS and MIT. And, she has owned, managed, and caused the launch of multiple ventures. She has led all segments of the big data ecosystem - collection, harmonization, architecture, analytics, AI, privacy, cybersecurity, and more. She is regularly sought after for leadership work and advice in big data environments, tech start-ups and early stage companies, and all manner of issues relating to implementing law and policy through technology as well as establishing and interpreting law and policy for technology. She regularly publishes and speaks on these topics. Click here to read her detailed bio.